Two cottages: "Swallows Nest" and "Badgers Den". Each has 2 bedrooms and 2 bathrooms. Suitable for 4 people. One studio flat: "Sea View Flat". Suitable for 2 people. The accommodation is a perfect destination for guests wishing to explore the local area, and have been beautifully decorated and furnished to a very high standard. 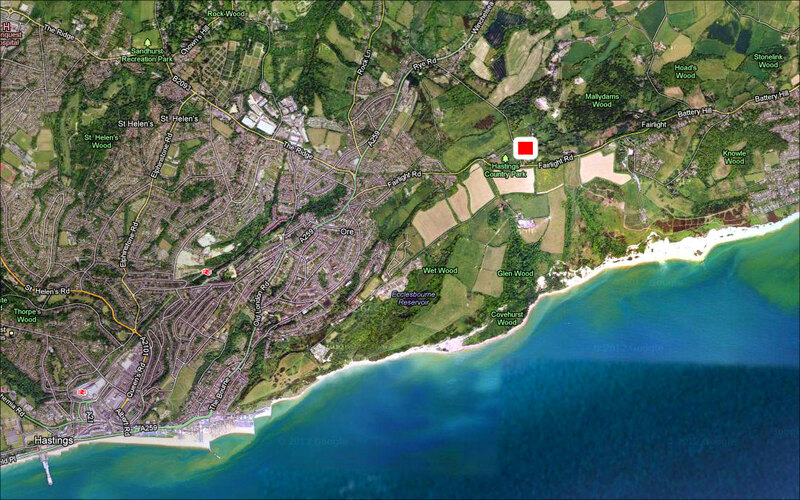 Nestled in Hastings Country Park Nature Reserve, the self-catering holiday accommodation is ideal for guests who enjoy walking, with many footpaths through fabulous scenery, waterfalls and unspoilt countryside. For guests wishing to enjoy a day at the beach, Covehurst Bay is only a 20 minute walk away and offers guests the opportunity to enjoy a peaceful and tranquil afternoon by the sea. There is also the bonus of a heated indoor swimming pool, gym and outdoor hot tub that is shared with the owner. Guests are encouraged to make use of the surrounding estate, enjoy the peaceful tranquility of the landscaped gardens and large BBQ picnic play area. The attractions, cafe's and pubs will entertain all ages. This beautiful historic town dates back to at least the 8th century, but flint arrowheads & Bronze Age artifacts have also been found from prehistoric settlements! Hastings is one of Britain's oldest fishing ports. Boats have worked from the beach in front of the ancient town for over a thousand years. You can buy freshly caught fish direct from the fishermen’s shop. The Old Town is where all the fun happens, located around the fishing port with lots of amusements, tourist attractions, history to explore and the quirky boutique and antique shops in George Street. Otherwise head over to the large Priory Meadow Shopping Centre. Very unique to the area, you can go search the local shoreline cliffs for dinosaur bones and fossils, especially good at Covehurst Bay. Also dotted all around this area of England are amazing castles and all the history from the 1066 Battle of Hastings (Norman conquest of England). The area is officially the sunniest part of the UK and rich in British history. Come and explore this fantastic get-a-away! Luxury self-catering accommodation & spa - awarded 5 star certificate of excellence by Trip Advisor. 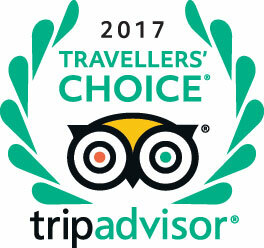 We are very proud to have been awarded one of the best holiday cottage's in the world by TripAdvisor. Copyright © 2014 Covehurst Bay Holiday Accommodation. All Rights Reserved.